I don’t want to go to my cardiologist. I can’t remember the last time I saw him. It’s nothing personal. The farthest thing from it, really. He’s lovely. So is his wife who is another doctor at his practice. 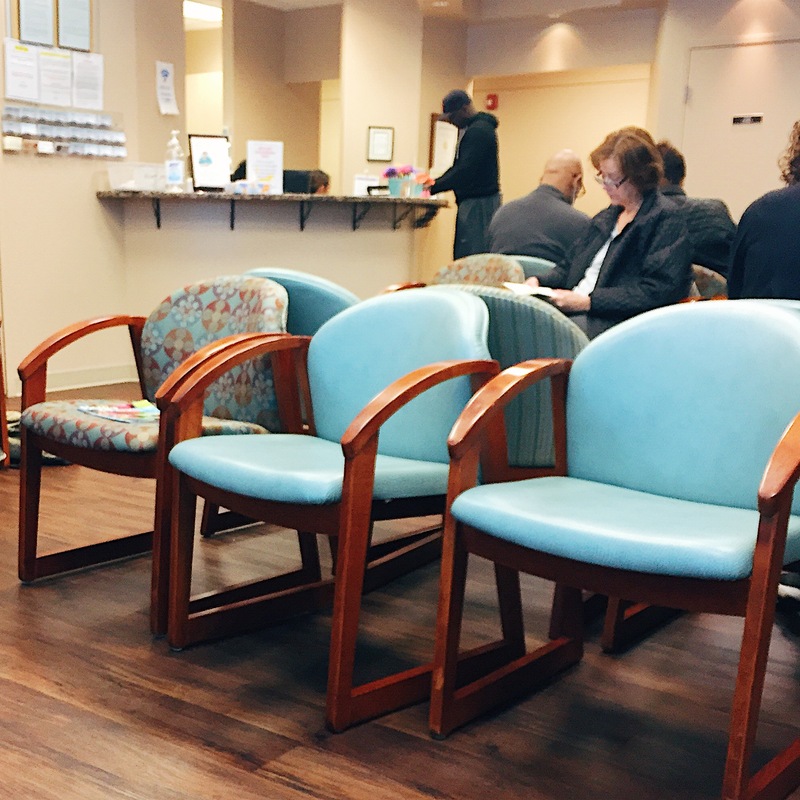 They’re kind, spend a lot of time on their patients, and they know what they’re doing. Best in the business. I’ve gone too many times. I just don’t want to go. I don’t want to go. When I started seeing this doctor, I had to go every two weeks. The appointments lasted hours. They switched to every six weeks. Then every six months. And then I cancelled an appointment last October and forgot to reschedule and I don’t know how long it’s been and I don’t want to go back. I’m out of breath and close to collapsing every night when I climb up all four stories of our house at the end of every day. I’m totally spent when I walk around at Target or go grocery shopping. Something’s wrong with my foot and I’m walking funny—but I don’t think a cardiologist can fix that. Although he’s pretty smart, so maybe he can. I know I need to grow up, be an adult, see my doctor. I know I need to stop acting like a kid. But it’s really easy for morale to get low with POTS—because there are days where I go from feeling GREAT to feeling like garbage in seconds and that type of whiplash is incredibly discouraging. Sometimes I forget I have #POTS. Then I stand in a line. That reminder just crushes your mood, your hopes, your everything. And it fuels the “why bother seeing the doctor?” thoughts. But I have to remember the advice and guidance of my therapist—even if I can’t get some type of cure from my doctor at a visit, every visit is for the purpose of gathering data. Getting more information. Even if we can’t use it now, maybe it can be used in the future. Maybe it can be used for someone else. We’re just tracking things and taking notes. I scheduled an appointment for the end of the month. I whole heartedly support Rare Disease Week and the ultra superstar rockstars of it (lookin’ at you, Sick Chick Shira Strongin)—but I feel like it’s very important for me to use my voice to make some clarifications about the disorders I do live with—and to make sure y’all know, while I’m one of a kind, I’m not very rare. There’s a very common misconception that POTS, because it’s not well-known, is a rare disease. The funny thing about POTS is that once you learn about it, once you meet someone who has it, you start finding POTSies EVERYWHERE. Immediately after my diagnosis, I found out that a girl I’d known for years was also in the process of getting a diagnosis. I threw myself into the POTS community, and people started sharing stories exactly like that with me. Their friends, their neighbors, friends from school and church, also discovered they had POTS soon after their friends got their diagnoses. In our journeys through chronic illness, we’re often written off as “just another” patient by doctor after doctor. I know with one of my doctors, I like to smile and say “hey, I’m one of your most complicated patients, right?” while they scribble away on my chart because it brings me comfort in that if my case is somehow special and complex, it validates the pain and suffering I go through. That if my pain was average, I wasn’t as much of a survivor. I know that’s not true, but it’s a habit of thinking I get sucked into all the time, and I feel like this happens to a lot of us and the doctors we get shuffled around to see. When the title of “rare” floats around and gets mistakenly applied to POTS, I think a lot of members of our community sometimes like to take it with pride and say, “hey, my journey is rare and unique because my disease is rare and unique!” even if it’s not true about the disease. I know I wanted to do that at first too—the title of rare is all too appealing! It makes us different and exclusive, and it gives credence to the difficult journeys we’ve gone through. It’s damaging, though. Because by spreading incorrect information about the illnesses we live with, we damage our credibility as a patient community, and we spread the notion that someone has to have a rare disease to live a unique experience. I know for a fact that people with rare diseases do not feel that way at all. And it’s critical that in order to be allies to people in the rare disease community, we respect the truth of our diagnoses and respect their space in our community of chronic illness. Everyone has a place in this community, and we need to respect the space that belongs to every one of us. 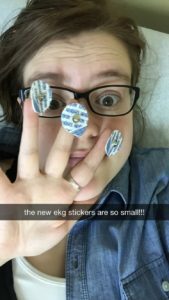 Since this blog is called Dysautonothankyou, I’d be remiss if I didn’t mention that there ARE rare forms of dysautonomia—I just happen to have the crazy common POTS. I wanted to list all of the forms of dysautonomia and mention which are common and which are rare—not as a “who’s who” but rather an educational reference. 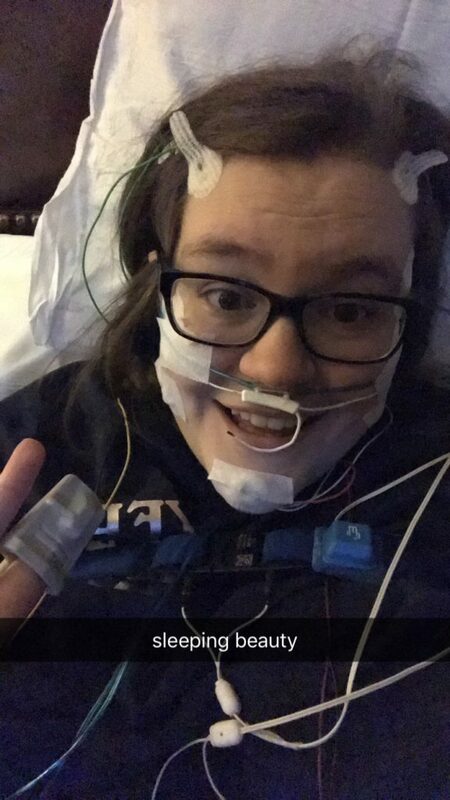 Now, in the interest of full disclosure (after I’ve talked about how common I am), I *do* have Ehlers-Danlos Syndrome, which is a rare disease, but my subtype, Hypermobility Type, is one of the most common forms of EDS. 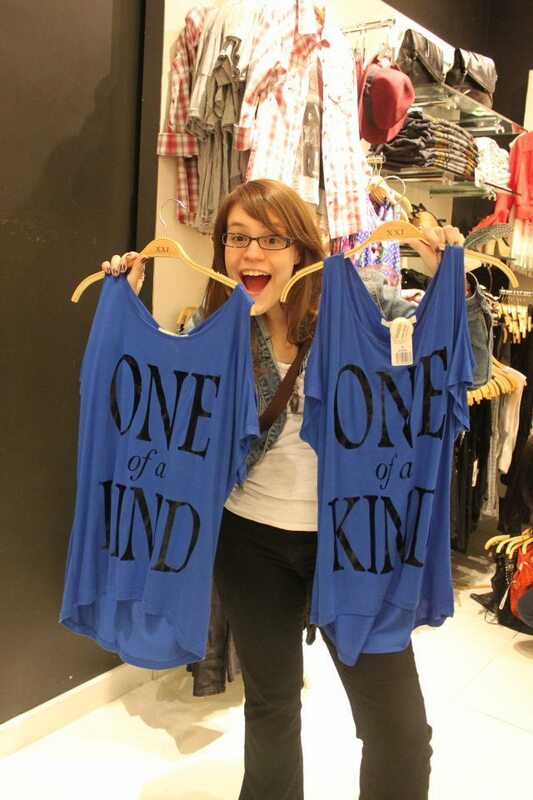 (A common rare disease is kind of an oxymoron, I know, but work with me.) The NIH estimates that EDS occurs in at least 1 in 5,000 individuals globally, and EDS Hypermobility type occurs in 1 in 5,000 to 20,000 people. While this makes me a rare disease patient, EDS doesn’t feel like one of my major illnesses. The three things I focus on every day are my POTS, depression, and anxiety. Since I don’t always feel like I can hold up that banner of “rare disease patient,” (I need to work on feelings like I can “own” my illnesses), in the mean time I can focus on doing what I can do be a rare disease ally—which to me, means following the blogs and Twitter feeds of leaders of the community, sending some e-mails and making some phone calls to my legislators asking them to support legislation that favors the rare disease community, and doing my best to listen to stories. Happy Holidays! Merry Christmas! Happy Hanukkah! Merry Solstice! Happy Non-Denominational Winter Event!!! It’s my long awaited holiday gift guide! 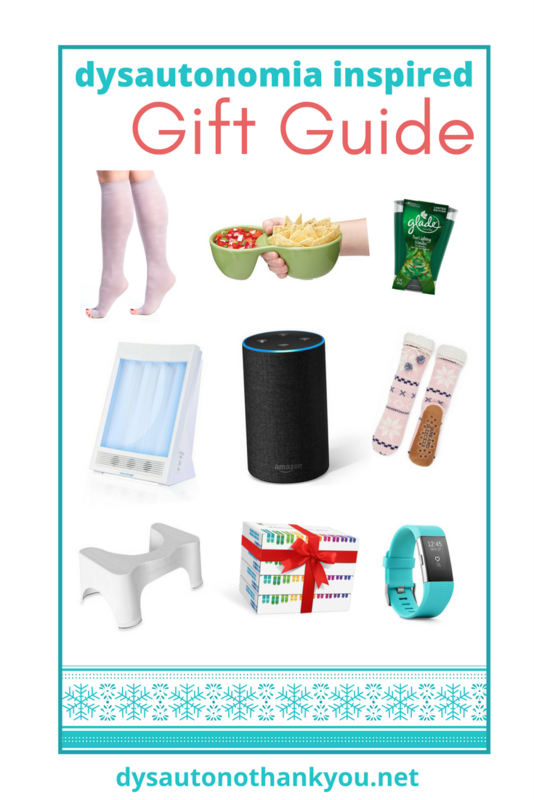 I hope I can relieve you of these feelings with my gift guide! But my point is this: we have to sideline ourselves in life because our bodies don’t cooperate. Health always comes first, even when we want to throw it to the side and just do something fun for once. Please don’t forget us, especially at the holidays. At this year’s Dysautonomia International conference, I got to know Tomas Reyes, who’s the founder of Tramps Hosiery. He founded his company after a loved one developed dysautonomia and needed to wear compression stockings to help with her blood flow. Coming from the world of fashion in New York, Tomas wanted to design something way more fashion forward than the standard medical options available. We had a ton of really interesting conversations about how dysautonomia and POTS affects life, and their company has been really generous to our community. AND! They’re offering 40% off your purchase (!!!) if you use the code dysautonothankyou! One of my favorite bits of dysautonomia advice came from one of my doctors who said “Walk more. Drink more water. Eat chips and salsa.” to encourage me to get my salt intake up. I have definitely taken the last piece of advice a little TOO seriously. 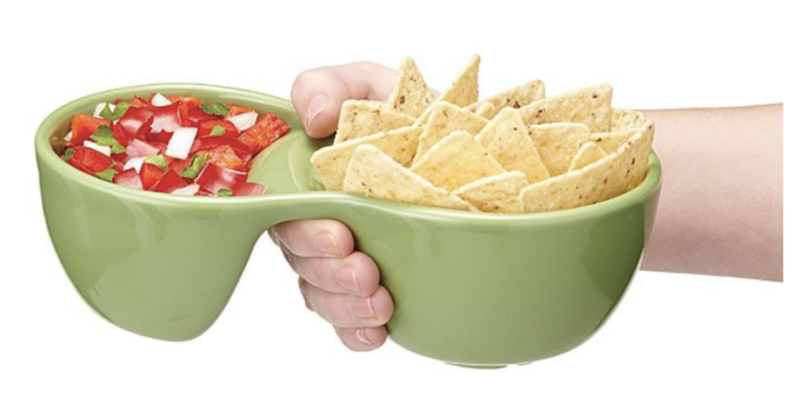 If there’s one thing I know about life and food though, no one scoffs when chips and salsa appear—so go ahead and give the person you love an excuse to consume more in their life in a cute bowl. 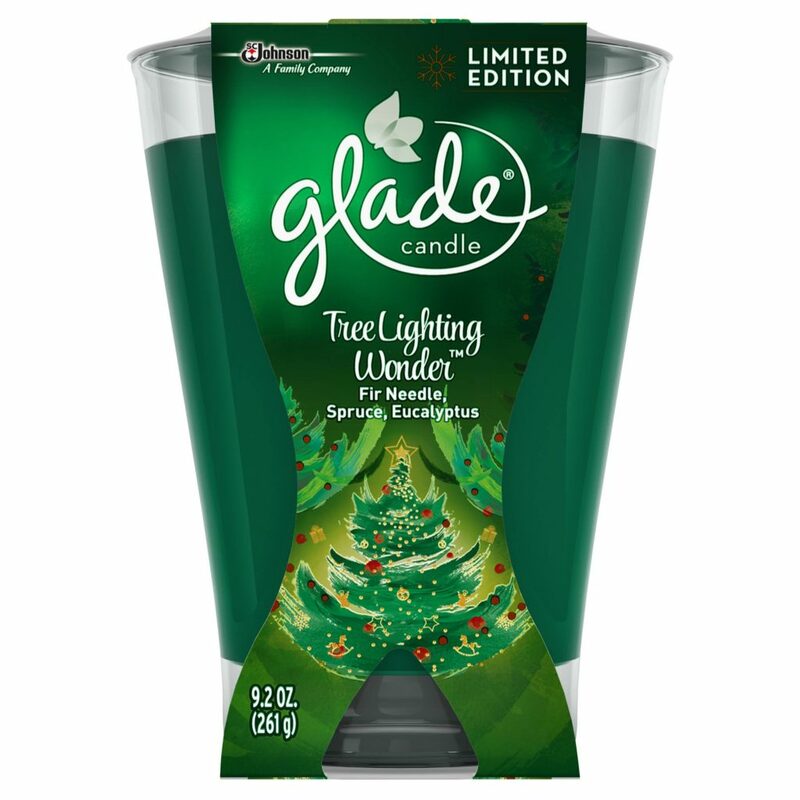 I’m fairly certain that all of my readers are in the same boat as I am, high class candle tastes on a budget, which is why I’m a big fan of holiday scented Glade candles. Their “Tree Lighting Wonder” scent candle smells even better than a Christmas tree and has my house and bedroom smelling so good for once. It’s an easy win, and it looks really nice, too, so it’s not an insult to give it to someone as a gift. The other plus to Glade candles is that I don’t find their scents overwhelming or overpowering. Obviously, if the person you’re shopping for has Mast Cell Activation Syndrome, they might need to live in a candle free/scent free home, so check with them, and see what their needs are. A lot of us with dysautonomia suffer from painsomnia—we’re up all night with pain and discomfort and sleep later into the afternoon. This makes the short days and long nights harder, we hardly get any sunlight. Separately, my depression worsens with the seasons and my doctors have recommended that I use light box therapy for 20 minutes every day. 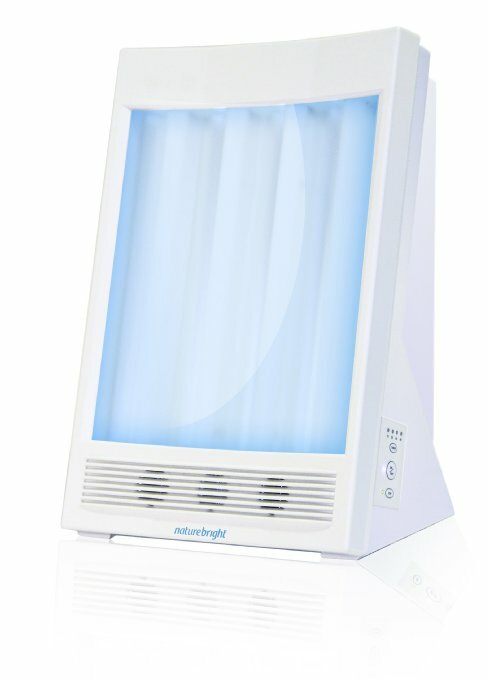 I have several friends who LOVE light box therapy and thrive on the boost it gives them. 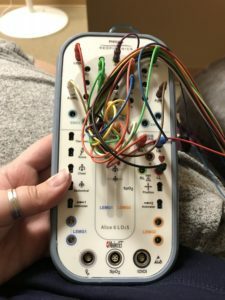 For me, it’s a nice buzz while I use it (when I remember to use it… sorry, doctors), but I know it’s a good, science-backed way to offer someone someone who who struggles with the time changes. 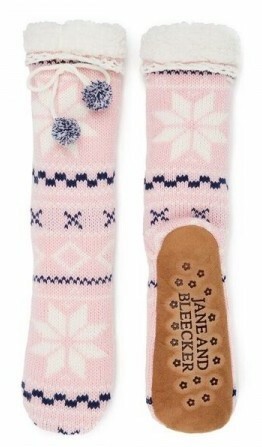 My dad bought me a set of Jane and Bleecker slipper socks from CostCo and I am obsessed. They are cozy, have great grips on the bottom, are cute, and fun to wear. The blood circulation to my feet is always terrible, but it’s always worse in the winter. These stay secure around my leg and don’t fall down. The ties *did* break off on one foot while I slept (I move around quite a bit when I sleep) but the sock is still tight and snug around my calves without being tied. My friends have an Amazon Echo at their house and they have it wired up perfectly. Want to turn on the lights? Tell Alexa, the Amazon assistant, to do it. Want to listen to music? Alexa does it. Need to search for something online? Alexa does it. Want to set a timer, call someone in another room in the house with an Alexa in it, use an app, buy something on Amazon? 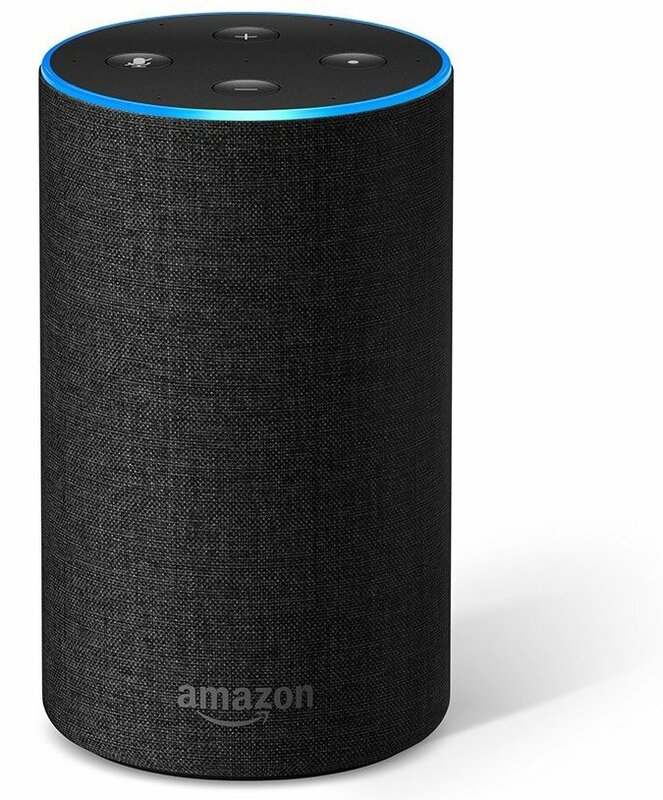 Alexa does it. It’s a chronically ill person’s dream come true—all of these commands can be done from the couch. There are definitely some security concerns to take into consideration, but there are ways to keep it more secure. Listen. I know this sounds like a joke. And it might be to some of you. Maybe it could be a funny joke gift or White Elephant present. 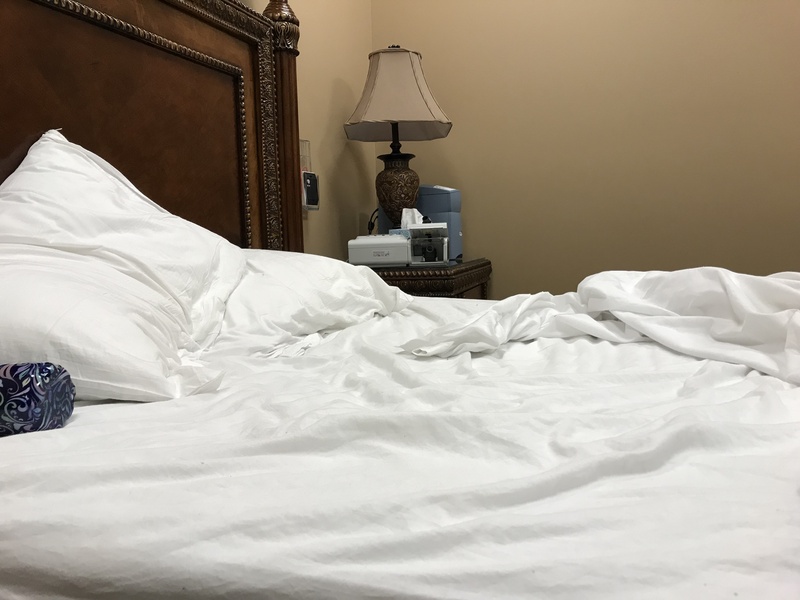 But this is one of the BEST products that has ever come into my life, and when you have dysautonomia, you probably have digestive problems, and THIS HELPS by changing the way you sit on the toilet! 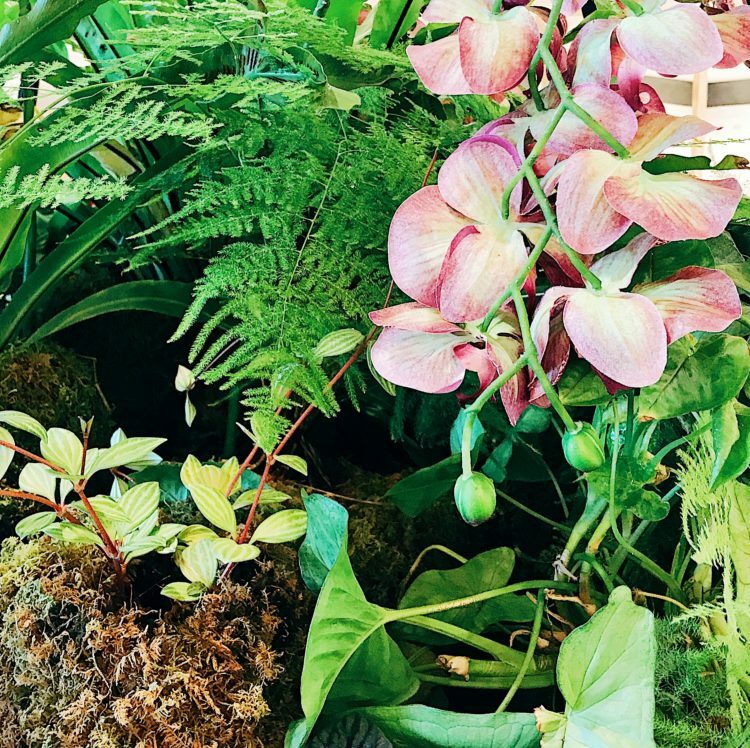 Things just… move better. 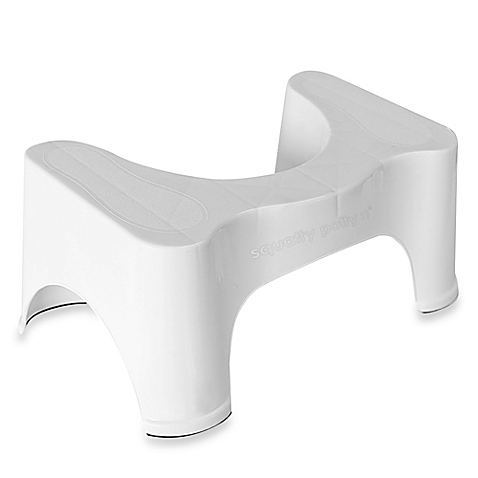 Because let’s just be real about what happens in a bathroom sometimes: straining, discomfort, really unpleasant positions… THIS FIXES THAT NONSENSE. So if the person you’re shopping for has been complaining about digestive problems, this is step one for them. The Health + Ancestry Kit is currently on sale for $149 (savings of $50). 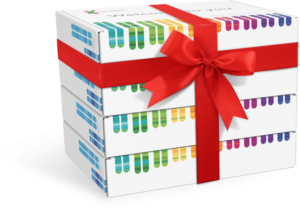 The other main DNA analysis company, Ancestry.com, does not offer a package like this. Ah, yes. 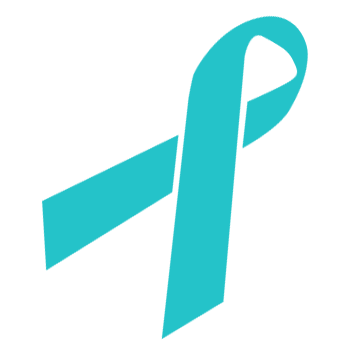 You didn’t think I was going to go another year without mentioning a FitBit, did you? It’s the dream gift for people who love tracking health data! 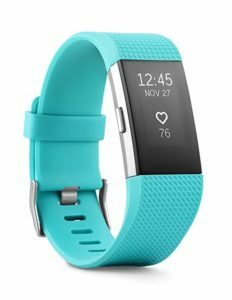 The most important feature of this particular model (Fitbit Charge 2), is that it tracks Heart Rate, and that’s what everyone with dysautonomia is looking for: checking in on their heart rate while exercising. Or walking. 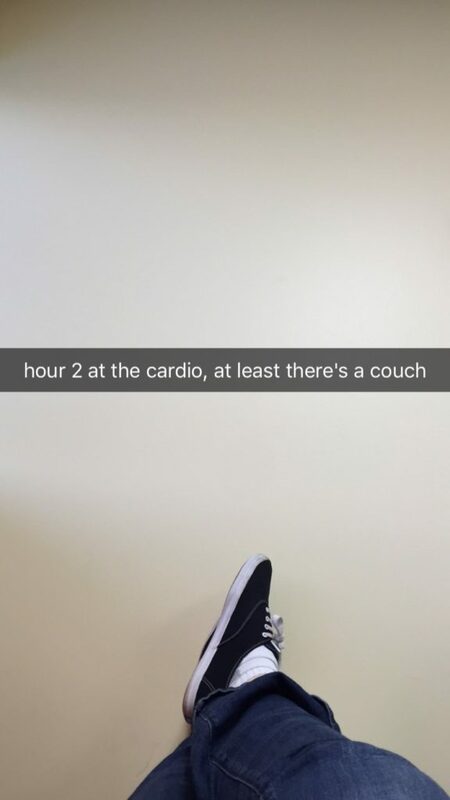 Or sitting. Or breathing. It can also be synced with your phone to show you text and calendar alerts on the display which is such a convenient feature. If you’re like my family, our favorite Christmas movie is Christmas Vacation. I’ve considered a few times getting my mom a subscription to a Jelly of the Month Club, because like Cousin Eddie says, that’s the gift that keeps on giving. But even if you’re not like my family, you’ve probably been interested in one of the billion types of subscription boxes out there. They range from samplings of snacks every month to makeup samples to monthly survival boxes for the chronically ill. So, how did I do? What did I miss? And what are you asking for this year? Let me know in the comments! If you’re still looking for ideas, check out my 2016 Gift Guide and my 2015 Gift Guide! I had an incident with one of my favorite doctors recently. This fall, I haven’t been myself. The fatigue has been unreal. I’ve been sleeping over 12 hours a day, trying to make my symptoms go away through sheer force of will. My mind keeps repeating, “something’s not right”—it feels like somewhere in my body, something is very broken and is causing a total shut down from top to bottom. I made the rounds with all of my doctors. I went to see Dr. X (name withheld) a few weeks ago, and everything went as usual, although I felt a bit more withdrawn and tired. Then came the end of the appointment. He then proceeded to lecture (or browbeat) me for over 15 minutes about minute things from schedules and exercise and all of the ways I was doing treatment and chronic illness wrong. None of what he said was inherently false. 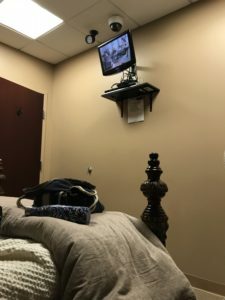 But everything in his delivery was wrong for me at that specific time—and as a doctor I’ve been working with for what feels like forever, I felt tremendously let down by his approach. I was heartbroken and offended to have been condescended to like a child by someone who had been treating me with the respect of an adult since I was a teenager. I felt like in this one appointment, I had done something to lose not only that respect but also his confidence in me. My doctor had preached to me all of the things I knew up, down, left, and right: get out of the house every day, eat three meals a day, drink more water, etcetera, do these things to feel better and be healthier—I could teach a class on these basics. It made me feel like he saw me as a failure. It made me feel like I was a failure because I couldn’t do the basic things to keep myself healthy. I chewed on my doctor’s words for days. (Try, weeks.) What would have been a blip on my radar had I been in a healthier, more sound place, had me anxious, hurt, and considering new doctors. 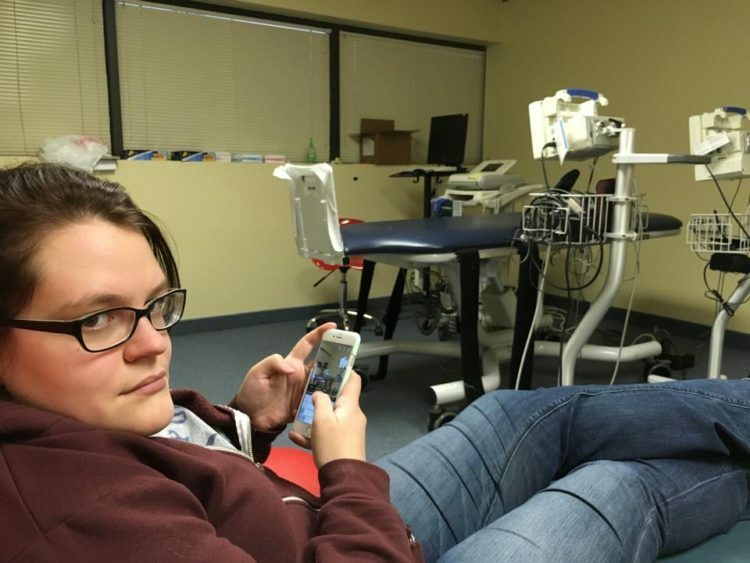 On the other, he was forgetting how I operate and function as a patient and as a chronically ill individual. I have always needed doctors to meet me halfway. I can’t pull myself out of whatever hole I’m in by myself. When I’m in a slump, I require a boost from medical intervention. But once I get that help, I can get back into the everyday habits that keep me healthy: getting out and walking around, using light box therapy, throwing in a salad here and there. Except after weeks of processing, I can FINALLY say to myself: who the hell cares what anyone thinks besides the people in the trenches with me? The people whose opinions I care about are the ones who actively feel my pain with me and help me get up, get out of this mess until I can do it myself. The ones who help me grow, who give me blankets, pillows, and hot chocolate when I need rest, and the ones whose critique and advice is delivered in a way that that will help me, not hinder me. 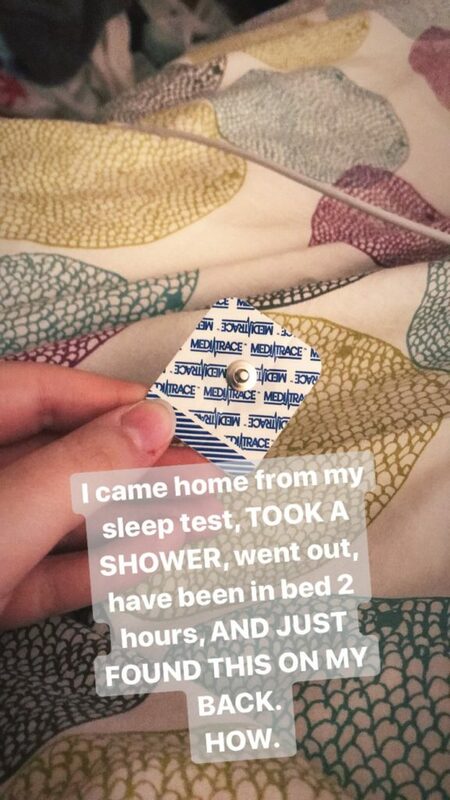 I’m sick. But I work really, really hard. And in the last few weeks, I’ve pulled myself up—thanks to a boost from medicine, therapies, loved ones, and my own hard work. 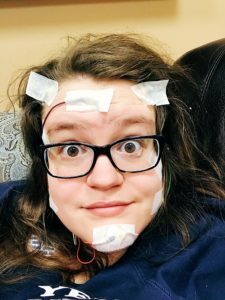 I’m not “fixed,” (it’s chronic, y’all), but a few weeks ago, I couldn’t leave the house because my body was non-functional. Last week, I was barely at home. So we’re getting somewhere.